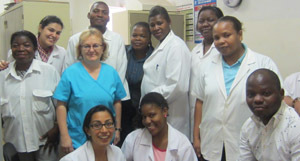 JCAHPO enhances the quality and availability of ophthalmic patient care by promoting the value of qualified Allied Ophthalmic Personnel (AOP) and providing certification and education. 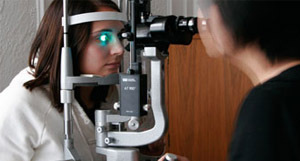 Certifications include the Certified Ophthalmic Assistant (COA®), Certified Ophthalmic Technicians (COT®), Certified Ophthalmic Medical Technologists (COMT®), Ophthalmic Surgical Assistant (OSA®), Registered Ophthalmic Ultrasound Biometrists (ROUB®), Certified Diagnostic Ophthalmic Sonographers (CDOS®), Corporate Certified Ophthalmic Assistants (CCOA®) and the Ophthalmic Scribe (OSC®). JCAHPO’s continuing education (CE) programs are designed to increase the knowledge and skills of Allied Ophthalmic Personnel (AOP) as they work toward certification, recertification and life long learning. CE credits are awarded for participation in a wide range of programs and activities including JCAHPO’s annual and regional meetings, lectures, and workshops, distance learning opportunities, as well as independent programs approved for credit by JCAHPO. Since 1990, the Foundation has awarded more than $750,000 in over 1,000 scholarships to students in training programs and continuing education (CE) grants. The grants support attending JCAHPO or ATPO sponsored CE programs and assisting with certification examinations for those wishing to enter or advance in the field or contributing to support the mission of expanding and strengthening the delivery of eye care. 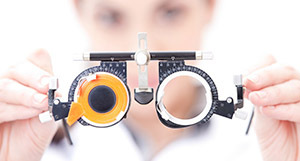 EyeCareCE is the most comprehensive on-demand, online continuing education website available. With hundreds of courses and new content added regularly, EyeCareCE is the source for Allied Ophthalmic Personnel continuing education. Presenters are leaders in their field who are shaping the future of ophthalmology. Content is accessible anytime, anywhere via PC or laptop. Learn on your schedule and at your own pace.